Sorting letters is one way to build fast visual recognition of letters. 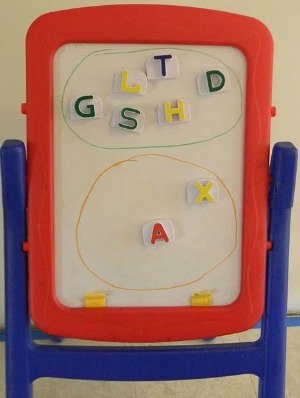 In Literacy Beginnings, by Gay Su Pinnell and Irene C. Fountas, the authors suggest that visual discrimination of letters is a key factor in early literacy learning. 1. Sort letters by color. 2. Sort tall and short letters. 3. Sort letters by curves and no curves. 5. Sort letters by sticks and no sticks. 6. Find all of the letter (E). 7. Find the letters that are in your name. 8. Match upper case and lower case letters. 9. 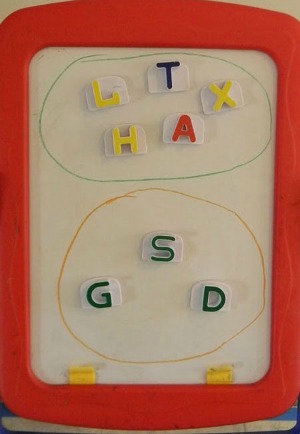 Sort letters with tails and letters with no tails. 10. Open sort- give your child an array of letters and have them sort the letters and explain the sort. 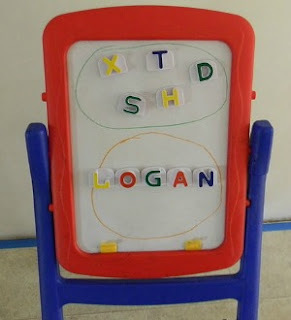 When you sort letters with your children, you can use letters made from a variety of materials. Take a look around what you already have in your home. 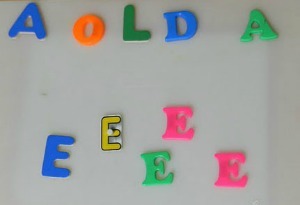 Do you have magnetic letters on the fridge? 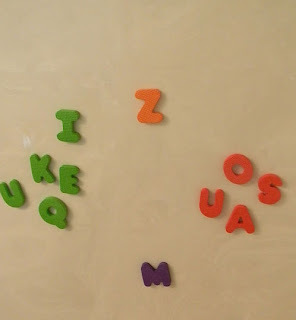 Are there foam letters in your bath? Do you have a few alphabet puzzles with wooden letters? Letters can even be handwritten on index cards or scraps of paper and manipulated. 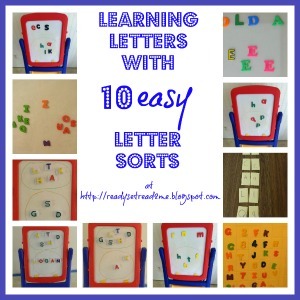 If you have any of these, you are ready to begin letter sorts! 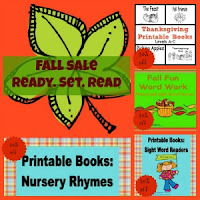 Don't forget about my fall sale at my Teachers Notebook store. 50% off best seller, 20% off entire store. Sale ends Saturday, September 29.